The National Standards Authority of Ireland (NSAI) is urging the more than 4000 registered electrical contractors in Ireland, and all those working in the electrotechnical sector to have their say on the proposed National Wiring Rules. 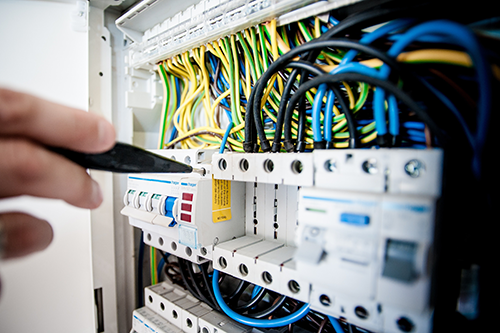 The National Wiring Rules are essential for electricians, inspectors and regulators as they specify the electrical installation safety requirements for all premises in Ireland. “It’s been over ten years since the last set of rules were published in Ireland, and there have been significant developments since then,” said Ms. Wylde. “Under the Electricity Regulation Act (1999), the Commission for Regulation of Utilities (CRU) now regulates the safety of electrical installations in the country, and Safe Electric is the Safety Supervisory body tasked with inspection and monitoring of the certification process. The regulations rely on the Wiring Rules for implementation and so it is critical that they are kept up to date” she added. “Some of the key changes proposed in the new rules are that Residual Current Devices (RCDs) will now be required to be installed on lighting circuits in domestic premises and Arc Fault Detection Devices (AFDDs) will now be recommended for circuits installed in locations with particular risk, such as; in premises with sleeping accommodation; or buildings made of combustible construction materials such as wooden buildings,” said Mr Hickey. “There will be a series of technical seminars held across the country later in 2019 to outline the key changes, and what they mean for electricians. The dates and locations of these seminars will be available on our website, when the consultation period comes to an end,” he added. Electricians, homeowners and all interested parties have until February 28th 2019 to have their say on the New National Wiring Rules. It is expected the standard will be published by mid 2019. All comments received will be reviewed by the NSAI’s Electrotechnical Committee experts and used to enhance the quality of the final Standard before planned publication.